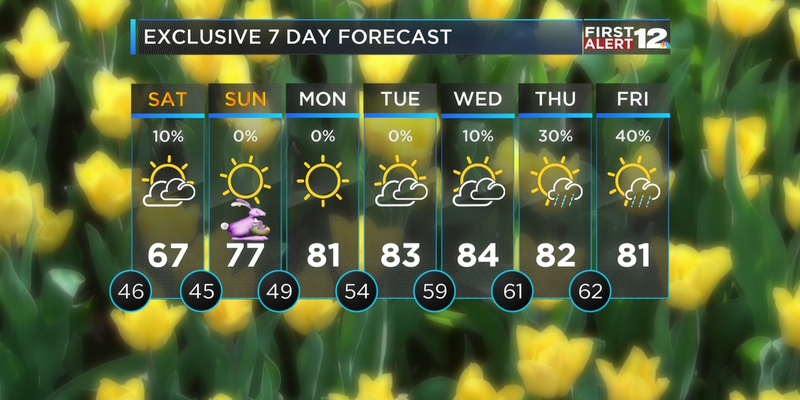 Cooler weather returns by the second half of the week. Temperatures in the 80s will linger Monday and Tuesday, and rain chances come back slightly, as well. Monday through Wednesday, 20 - 30% of you will see a passing shower or downpour. 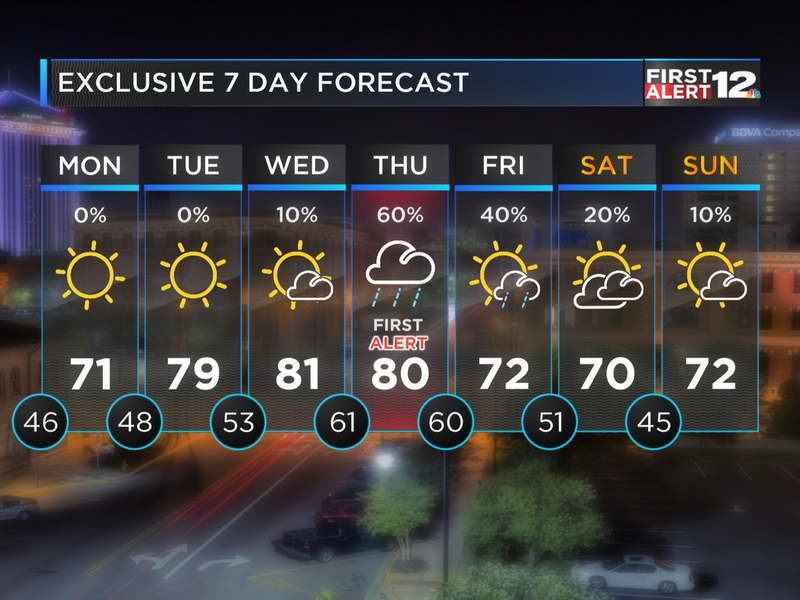 If you like the cooler fall weather, do not fear-- by Wednesday, another front will move through the area, and temperatures in the 70s will return once again. 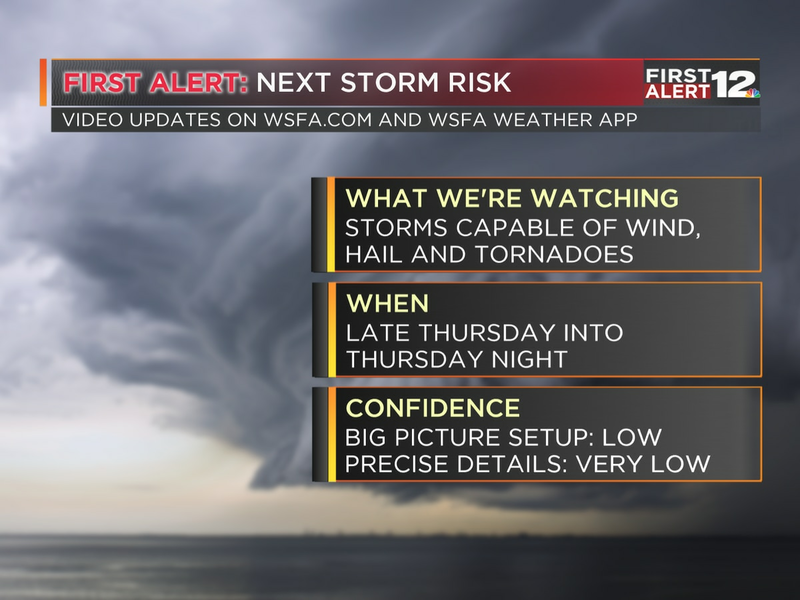 FIRST ALERT: By next weekend, it looks like a stronger front will arrive to the region. This will bring the chance for rain over the weekend, but it will also significantly cool our temperatures. Highs may only be in the 60s for the start of next week.